I have read the article about the explosion in 1925 with interest. I have an old family newspaper cutting about the death of my Great Uncle Alfred in a roof fall in June 1924 in the West Winpenny Slant of pit 18 at Birchenwood. He was the Manager at the time and went to help with recovery work. Is anything known of this accident? I am looking into my family tree and have found a medal that was awarded to my great grandfather. It has a blue ribbon with Norton 1912 on the pin at the top and the actual medal has a knot in the middle with North Staffs Colliery Owners Rescue Team around it in a blue band. It has his name stamped on the back but is spelt wrong. I have looked at you website and notice reference to Mr A. Lovatt; my great grandfather was called Alfred Lawton Lovatt and I was wondering if it was one and the same person. I would love any information on Alfred Lawton Lovatt and /or his medal, hope you are able to help me as I would love to find out more about him. Also I have found an email from Philippa Tyson (above) and I was wondering how to reply to her post as I believe we are talking about the same relative and would love to find out more about the information she has. It's so exciting couldn’t believe it when I saw her post. Fingers crossed she will have the same address. Thank you again and if I can add anything for you I will certainly let you know. Thank you for your website otherwise I wouldn't of found out what I have. I am researching my family tree and the information about the Birchenwood Colliery explosion on your website was invaluble as Leonard Caton who died at Birchenwood was my Grandfather Levi's brother. Subject: Bevin Boys and More. My Uncle Francis (Frank) Gibson was a Bevin Boy, his last pit was Hem Heath in Longton, North Staffordshire. He is still alive and approximately 80 years old. He retired at 65. My Grandmother's first husband Leonard Caton was killed in the Birchenwood pit disaster in 1925 a week before his Daughter Gladys was born. Gladys is now married to Francis Gibson the above Bevin Boy. My Mums Uncle Harry Wakefield was one of the first St John's Ambulancemen on the scene. My Father Geoffrey Stanyer worked as a miner in Wolstanton colliery, Newcastle Staffs & then when it was closed down moved to Florence Colliery in Lightoaks, Staffordshire which had merged with Hem Heath to become a super pit. His Lamp number is 1001. He retired when Florence was closed due to ill health. He suffered some horrific injuries from roof falls etc during his years in the pits. My Uncle Barry Wakefield Also worked in Wolstanton Colliery. His Uncle was Harry Wakefield one of the first on the scene at the Birchenwood Colliery disaster. I am a miners daughter and would never have been allowed down a mine to work, however, I do help to make & repair control units for deep mining equipment in my job. Doesn't sound like hard graft but if we get it wrong many people could lose their lives. I am proud of all my family members who have put their lives at risk on a daily basis to get the coal to keep this country going. I also remember the last Miners strike - even through young eyes it was a horrible time for us all. The site is fantastic and without Steve Austin contacting my Mum last week I would never have seen it. Steve is my Grandmothers nephew who I knew nothing about until a week ago. I am amazed at how small this world seems to be. I am proud of our mining heritage. 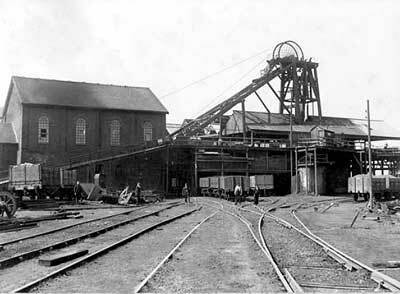 We now have one of the Local Collieries in Chesterton as a mining museum. Apedale was where my friends Grandfather worked and I am keen to get over there and have a look at this new museum but I want Dad to come with me as he will be good at explaining everything in the language I understand because he talks with his hands.